If you are lucky enough to have a swimming pool at home, you will know about the essential accessories that make up a suitable pool area. Decking, awnings, and of course, the right furniture, are all essential add-ons, and with safety such an important issue, adequate fencing is a must. Glass is a very popular material for pool fencing, and with a choice of styles, you can really create a unique look, and the ability to see inside the pool perimeter adds to the level of safety. Leaving a swimming pool open and unattended can be very dangerous, and there’s no better way to seal off the area than glass fencing, and because it is transparent, you can see what’s happening at the water’s edge. This will eliminate the risk of a child or pet falling in and drowning, and it also keeps the water within the pool perimeter, as well as keeping the outside pathways dry. At Perth City Glass, we only use toughened safety glass, whether for pool fencing or balustrades, so you can be sure the support is both safe and very durable. The sheets are made to measure, and the glass meets all the Australian safety standards, so you can relax and enjoy yourself, without the worry of an accident. Large groups of children tend to run, and with slippery surfaces, it is essential to use special toughened safety glass with any balustrade or fencing. 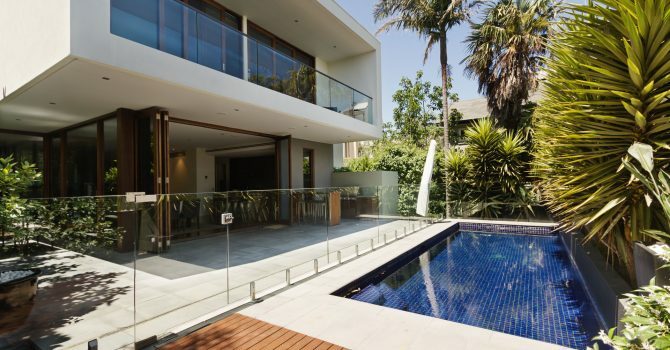 All our pool fencing and glass balustrades are custom made, and with a choice of supports, you can achieve the right look that will complement your home. We pride ourselves in our professional attitude and we look at every job as a challenge, and by talking to one of our technicians, you will have a better idea of what is possible in terms of design and materials. If you are in the process of designing a new pool, why not consider glass fencing, as it offers many benefits, and the price is affordable. If you have a timber fence in place around your pool, you will be used to the annual staining and varnishing that is necessary to keep the fencing looking good, yet with glass fencing, you have a maintenance free product that will never discolour or fade. Glass fencing is literally a question of fix and forget and with the occasional clean, your fencing will always be in pristine condition. The stainless steel connectors complement the sleek look of the glass panels, and we make sure the whole system is secure. The great thing about glass pool fencing is it doesn’t detract from the original concept, unlike timber or perhaps aluminium which breaks up the view, and that will have an impact on the ambience. From a safety point of view, it is much better to be able to see what is going on in the water, and glass fencing gives you exactly that. If you like the idea of glass fencing, we at PCG are the people to talk to, so contact us anytime and we can create the ideal screening.